And no, we’re not questioning whether fax is worthy of a few jokes. 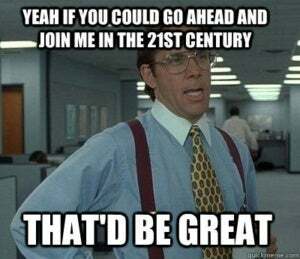 No, we’re asking why we still hear fax jokes at all (while people long ago stopped making snarky remarks about, say, mimeograph machines and tape recorders). Have you guessed the answer yet? It’s because unlike those other outdated technologies, the fax machine is still in use in many of our offices. It may be for healthcare insurance, government tax filings, legal contracts, mortgage applications, purchase orders, contract bids, or thousands of other applications you probably never thought of that persist to this day. Which means that even though we may not like having to support it—and we make fun of it every chance we get—fax might be one of the most important data transfer protocols in our offices due to the nature of the documents that require it. 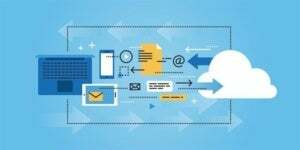 Yet most IT teams give little thought to fortifying their fax infrastructure to ensure their workforce always has access to reliable and secure fax capability when and where they need it. And because most corporate fax setups are built on legacy technology—fax machines (which jam), expensive on-premises fax servers (which crash), and old-fashioned phone lines (which can fail for any number of reasons)—chances are your company’s fax infrastructure has not changed in decades, which means it just isn’t reliable enough for your mission-critical documents. There is a simple solution to this problem: cloud fax. But first some bad news. 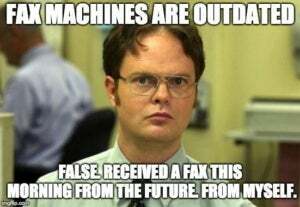 If your office’s fax machine jams or breaks (which can happen easily when workers try to fix a paper jam themselves), your team will be stuck without fax capability until someone can fix the machine. If your in-house fax server crashes, your organization’s fax capability will be down until someone reboots that server and successfully brings all the related modules and processes back online. 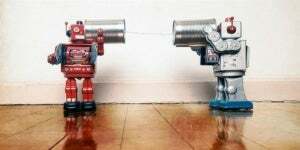 If the telecom provider responsible for your analog fax line has trouble with their aging network, your workforce could go without fax capability until they get around to finding and fixing the problem, which can require a truck roll to your office. If the power fails at your location, all faxing will come to a halt until service is restored. That means orders are not received and contracts don’t go out. We’ve hit you with a lot of doom and gloom about your existing fax infrastructure: It doesn’t have any fail-safes built in; your team uses it mainly to transfer important data that is often subject to regulatory compliance; a prolonged outage could be a major setback. You get it. So, what’s the solution? That’s easy: cloud fax. Virtually unlimited capacity to ensure your staff always has the ability to transmit faxes (in case one line has problems). No waiting for a busy fax line to become free. Multiple telecom providers ready to transmit your faxes, for added redundancy (in case one carrier is experiencing problems and cannot transmit your fax). Multiple modes of sending faxes, from desktop computers to multifunction printers to secure web portals to mobile apps on tablets and smartphones. Multiple data centers in geographically distinct locations to process your faxes (in case one center has an outage or other problems). Multiple layers of protection for the cloud servers at their secure data centers—such as redundant fiber access lines, power, and cooling to ensure those servers are operationally healthy. 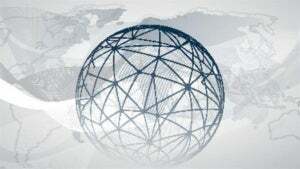 And that partner, if you haven’t guessed, is eFax Corporate—the global cloud fax service many of the world’s leading businesses choose to safeguard their fax capability. If one data center has a problem, our customers’ faxes are immediately rerouted. Even if we lost two centers in different parts of the country simultaneously—an extremely unlikely event—we could continue processing faxes with no service degradation at all. 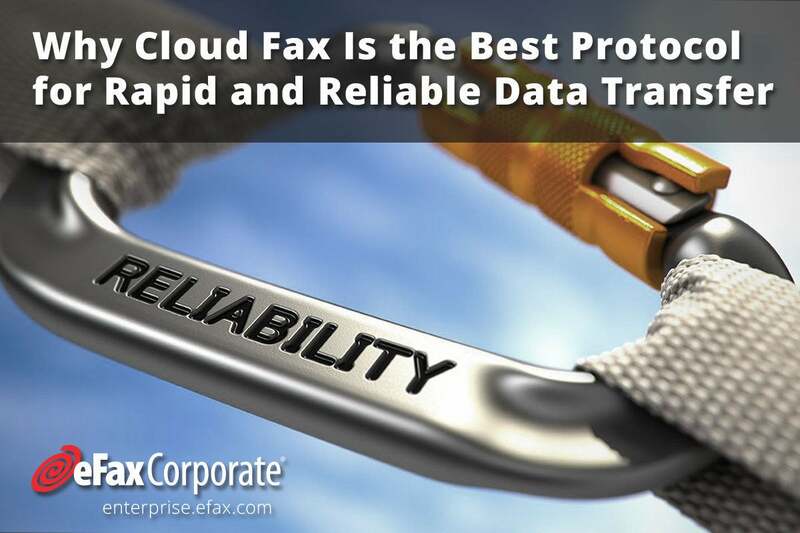 Ready to see how eFax Corporate can deliver the most reliable fax infrastructure your organization has ever had? Read our white paper: Why Fax Reliability Is Critical for Your Business.